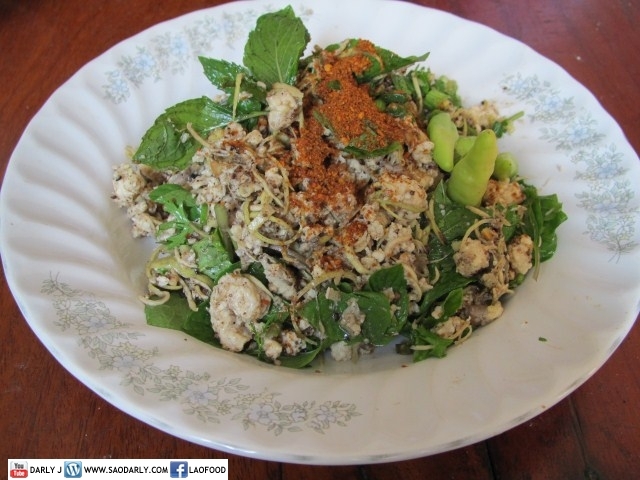 Koy Pa ກ້ອຍປາ (Lao Minced Fish Salad) with Kaeng Pa ແກງປາ or Tom Pa ຕົ້ມປາ (Fish Soup) for lunch in Vientiane, Laos. A relative came by for a visit and brought a few fishes, some fruits and vegetables from his garden as gifts. 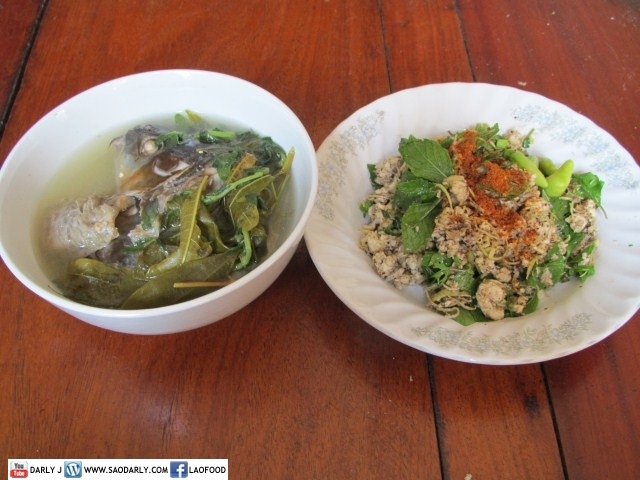 It was a nice lunch for everyone to enjoy with freshly cooked sticky rice and plenty of herbs and vegetables served next to the fish salad and fish soup. 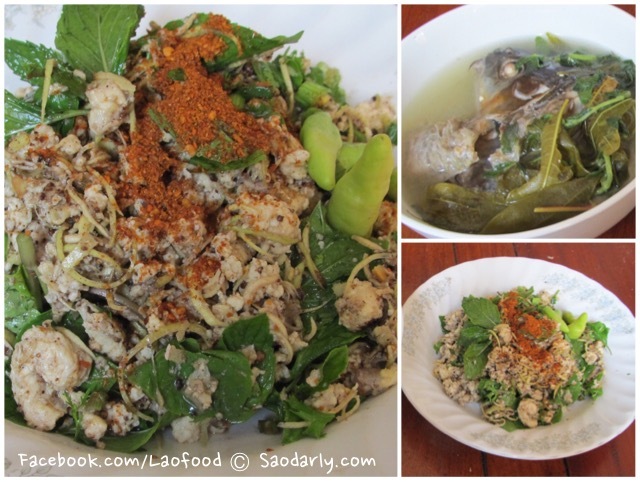 I’ll do my best the next time I am in Laos and take a bigger memory card so I can record longer clips.